One of the more disappointed players from their season ending has to be Paul Pierce, who thought he’d have a chance to win one more NBA title or at least challenge for one with the Brooklyn Nets. Now a free agent, it’s hard to see the 16-year veteran re-signing with the team, knowing their chances of topping what they did this season are very slim. The Nets rebounded from an awful start to have the best record in the Eastern conference in 2014. They made the playoffs, won in 7 games against the Toronto Raptors but then lost to the Miami Heat in five games, with Pierce having a bad series, averaging 14 points and most of the time looking every bit of his 36 years. 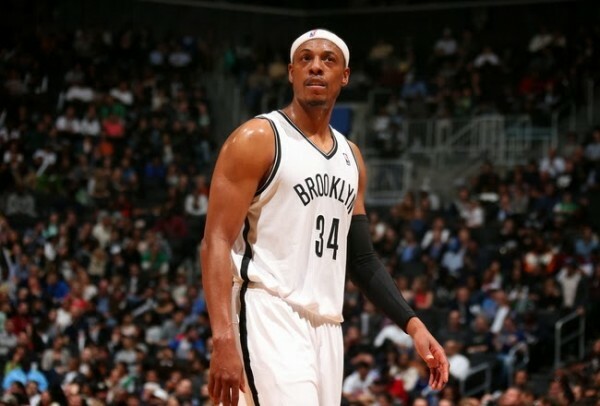 Pierce will be 37 when next season begins, and although the Nets are very much willing to put him back on the team (obviously not for the $15 million he made last season, which no one will give him), it seems quite difficult to see a future with Pierce and the Nets together. From Ohm Youngmisuk of ESPNNewYork.com: The odds don’t sound good of a Pierce return. 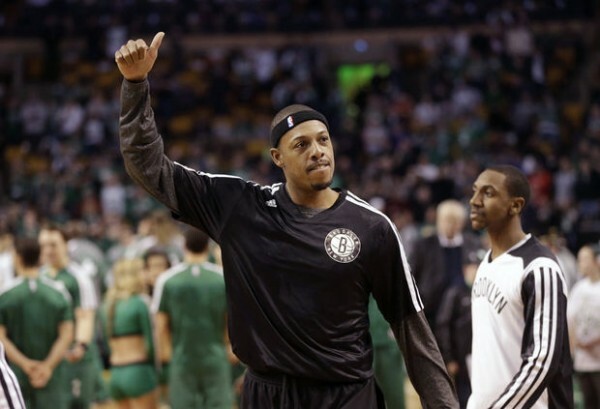 Those in and around the Nets organization are unsure what Pierce will do. But it’s only May. He has plenty of time to make up his mind. My guess is that Pierce will wait to see what the Nets can do to improve the roster. If the Nets are unable to make significant improvements, he could end up going elsewhere by mid to late July. The Nets, as anyone can imagine, are in trouble in terms of making changes to a lineup that was already old, limited and prone to injuries, finding it difficult to rebound and rest well enough after big efforts, making two consecutive good games from them a rare thing in the defining moments of this season. Pierce makes them better, obviously, and signing someone on a Mid-Level exception could improve the team slightly, but there really isn’t a lot the Nets can do, as their big contracts are pretty much unmovable. Some think Pierce will go and sign with the Los Angeles Clippers – The Doc Rivers factor and the Clippers situation as a team in its prime, ready to win. Los Angeles is also the place where Pierce grew up in before going to play for Roy Williams in Kansas. There are a few more options out there for him, but Pierce will probably wait and see what the Nets have planned for 2014-2015. Right now, it doesn’t look promising.